Tie Dye Layer Midi Dress is rated 3.0 out of 5 by 1. 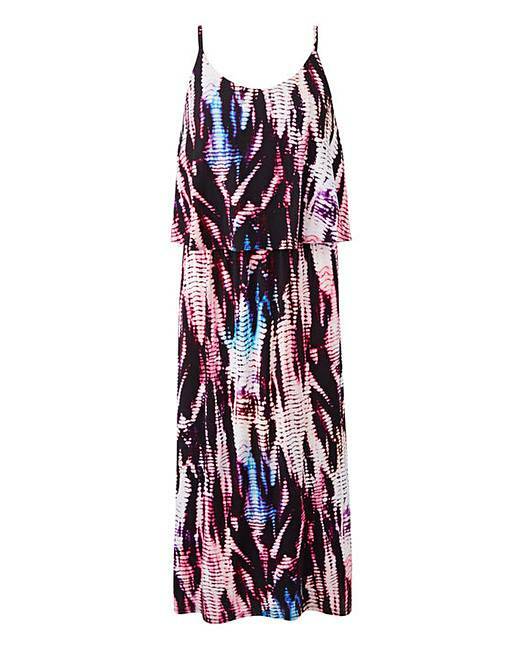 A classic tie dye double-layer midi dress can be a classic shape for you this season. Dress up or down for summer occasions with a classic black or coloured sandal. Rated 3 out of 5 by Sotabo4 from Nice Style & material I is slightly big for me . I gave to my sister. The sizing is slightly too big.